If you are considering a Plainfield Kitchen Remodeling project then Plainfield Kitchen & Bathroom Remodeling is your one stop solution. Our years of experience will be immediately evident and we will take pride in adding your name to our long list of satisfied clients. We only use the finest products to do the job right. Our products include a full line of custom and standard cabinets. We also offer many unique stone slabs and countertops, as well as tile flooring and backsplash material. 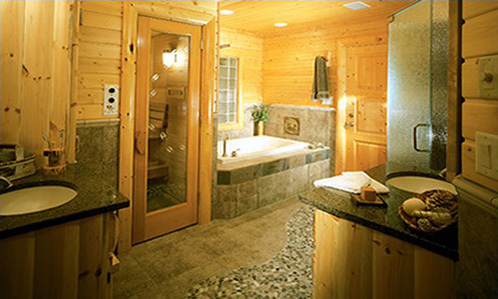 Plainfield Kitchen & Bathroom Remodeling also specializes in large and small bathroom remodeling projects. Consider us your source for custom or standard bathroom renovations. Our huge selection of products include custom and standard sinks, baths and whirlpools, and cabinets. We also offer a full line of many stone slabs and counter tops, tile flooring and back splash material. Plainfield Kitchen & Bathroom Remodeling is a certified renovation company providing kitchen remodeling, bathroom remodeling, home accessibility modification services, room additions, and more for residents of Plainfield and many surrounding Indiana communities. As a full-service remodeling company, we offer a wide array of products and services to help give homes complete makeovers. From replacing kitchen countertops to installing new bathroom flooring, we can do it all. However, we understand that with so many different options, remodeling your home can feel like a daunting task. Our certified kitchen and bath designers and remodelers can discuss your renovation goals and help you choose specific products and services that will complete the remodeling project of your dreams. When it comes to a full bathroom remodel or kitchen remodel in your Plainfield home, Plainfield Kitchen & Bathroom Remodeling can replace virtually any feature of the room. For Plainfield kitchen remodeling, we can completely tear out existing cabinetry, appliances, fixtures, and drywall – right down to the studs – and rearrange the layout to create an entirely new and modernized space. From the kitchen cabinets to the kitchen flooring, we’ll make sure the entire room is constructed with durable products that will look beautiful for years. Likewise, your Plainfield bathroom remodel can involve replacing the bathroom countertops and bathroom cabinets, installing a new shower or tub, laying down new flooring, and much more. In short, we can professionally design and renovate just about any aspect of a kitchen or bathroom, or for that fact, any room in your home. Regardless of the remodeling options you choose for your home in Plainfield Indiana, you can be confident that our experienced installers will transform your home with meticulous craftsmanship. When it comes to your renovation, “we’re not done until you tell us we’re done,” and we’ll make sure the final result is exactly what you had imagined. 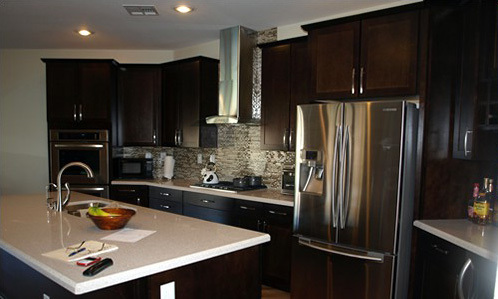 Plainfield Kitchen & Bathroom Remodeling is the premier choice for remodeling and renovation projects in Plainfield IN.